Former Uber engineer Susan Fowler has landed the company in hot water after she published a scathing blog post alleging numerous displays of blatant sexism within the organization. Fowler recounted how, at one point after she’d lodged her first complaint, she was given the choice to continue working with the manager who made sexual advances towards her or transfer to another department. Later, after that manager was fired and she had moved to another team, she said that her application for a transfer to a less crazy engineering organization within the company was blocked, in spite of a glowing performance review. Fowler alleged that her performance score had been altered after her official review, making her ineligible for a transfer and also ineligible for a Stanford University graduate program in computer science that was sponsored by Uber. According to her account, this was a move to keep her on her current team because it made her manager look good, in comparison to other teams that were quickly losing their women engineers. [I] said that I was sure Uber SRE could find room in their budget to buy leather jackets for the, what, six women if it could afford to buy them for over a hundred and twenty men. The director replied back, saying that if we women really wanted equality, then we should realize we were getting equality by not getting the leather jackets. He said that because there were so many men in the org, they had gotten a significant discount on the men’s jackets but not on the women’s jackets, and it wouldn’t be equal or fair, he argued, to give the women leather jackets that cost a little more than the men’s jackets. We were told that if we wanted leather jackets, we women needed to find jackets that were the same price as the bulk-order price of the men’s jackets. The entire post, which also mentions how HR tried to assert that maybe Fowler herself was the problem and that “certain people of certain genders and ethnic backgrounds were better suited for some jobs than others,” is worth a read. Arianna Huffington, founder of The Huffington Post and a member of Uber’s board since last April, said that she will work with the company’s chief HR officer Liane Hornsey to investigate further. Hornsey joined Uber from Softbank in November 2016, where she was an operating partner and previously a VP at Google. It’ll be interesting to see what comes of the investigation, and what that spells not just for Uber, but for tech companies at large. Sexism is a huge issue across the industry – a survey from last year showed that 60 percent of women in Silicon Valley experience unwanted sexual advances – and it’ll take an awful lot of work to dismantle it. However, it isn’t clear why Uber couldn’t bring itself to initiate a truly independent review of its inner workings. Having HR investigate HR, or asking a board member to get on the job, doesn’t sound entirely ‘independent’. 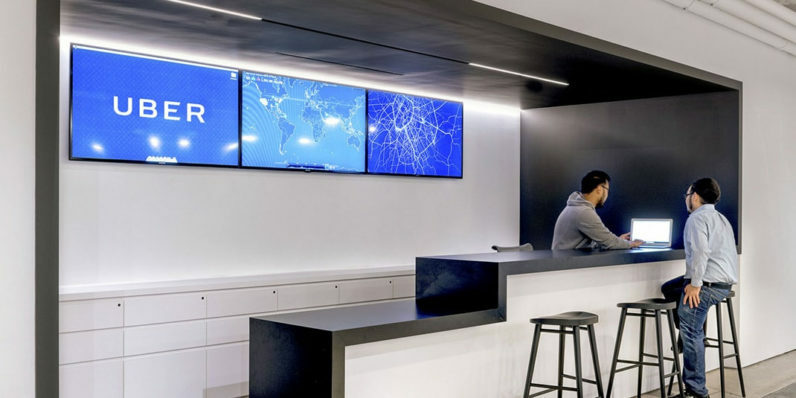 Fowler, who noted that the number of women in Uber’s SRE teams had shrunk from 25 percent when she joined about a year ago to just 3 percent when she left last December, is now an engineer at Stripe. Update 2/20: In a memo to employees, obtained by Recode, Uber CEO Travis Kalanick said that he was appointing former US Attorney General Eric Holder and legal counsel Tammy Albarran from the law firm Covington & Burling to conduct an independent review into the specific issues raised by Susan Fowler. He also noted that only 15.1 percent of the company’s employees in its engineering, product management, and scientist teams are women, and that this has largely remained unchanged over the past year. Hopefully, the acknowledgement of the lack of diversity and the introduction of third-party counsel will see Uber correct its ways and build a more inclusive workplace over time – and perhaps set an example for other tech firms as well.